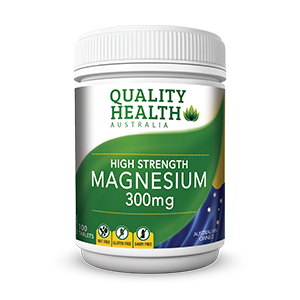 A natural source of omega-3 fatty acid at Double Strength, that's twice the amount of Omega-3 than regular fish oil. 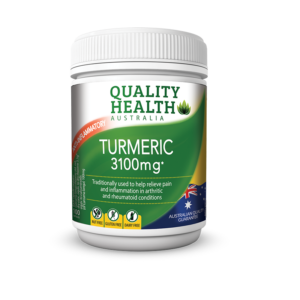 Same benefits with fewer capsules and no fishy aftertaste. 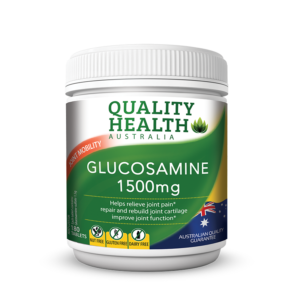 Contains soya and sulfites. Follow the directions for use. Always read the label. If symptoms persist consult your healthcare professional. WHAT IS QUALITY HEALTH ODOURLESS FISH OIL 2000 mg FOR? 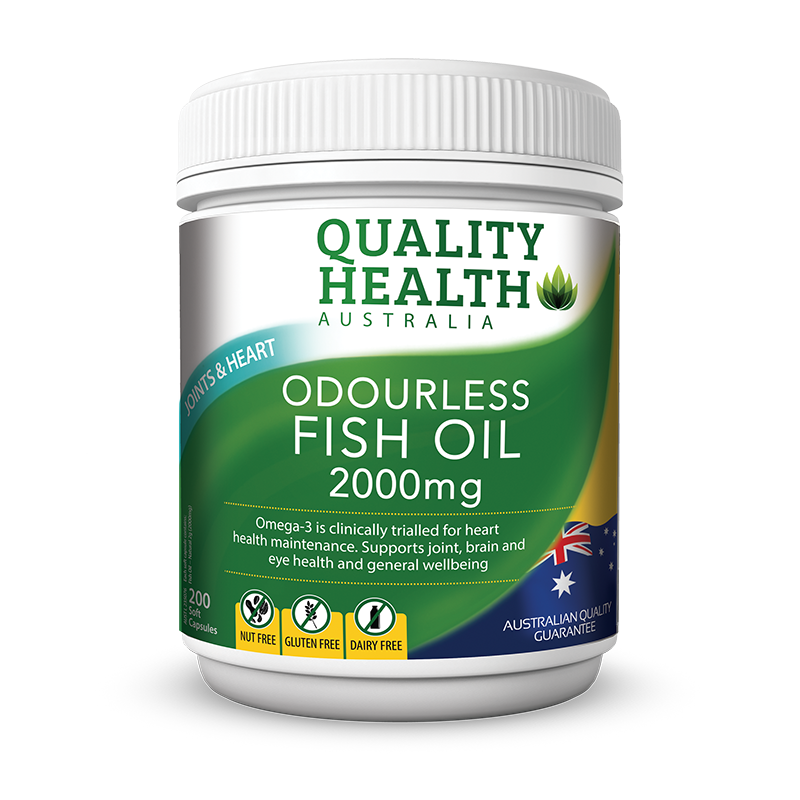 WHO IS QUALITY HEALTH ODOURLESS FISH OIL 2000 mg FOR? 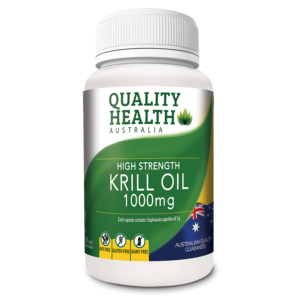 Those looking for a fish oil with a higher doses of omega-3 fatty acids - EPA and DHA. General wellbeing heart, brain, eye health: 1 soft capsule daily with food. Cholesterol maintenance: 2 soft capsules daily with food. Joint health: 4 soft capsules daily with food.